Bach and Gabrielli: the focus of this recording is an unusual musical match involving the famous 6 Suites for violoncello solo by Johann Sebastian Bach and the little-known 7 Ricercari for violoncello solo (1689) by Domenico Gabrielli of Bologna, the first example of a work for unaccompanied cello in history, and thus the only precedent and possible model for the Bach masterpiece. In what ways are the two series of compositions linked? 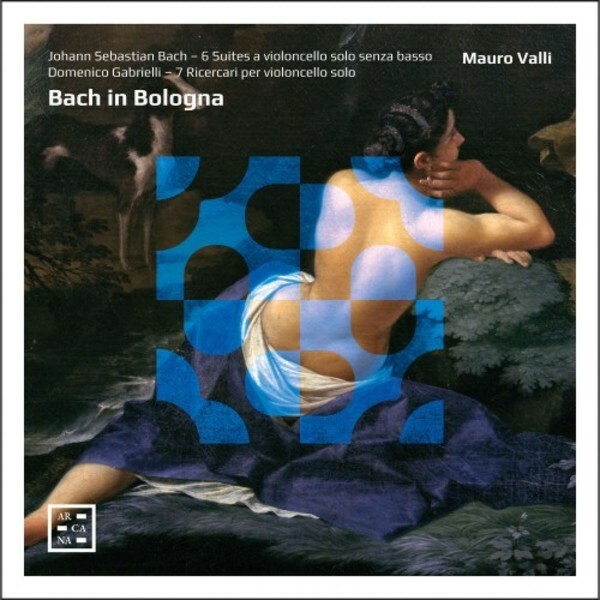 Cellist Mauro Valli is convinced that there is a connection between the two for a number of reasons, including the preponderant correspondence of the keys. Bach assiduously performed and transcribed works by Italian composers, not only those of his contemporaries but also of earlier musicians, so it is highly likely that he was familiar with Gabrielli�s works, in particular with the Ricercari. Mauro Valli provides an intriguingly new interpretation of Bach�s six masterpieces by heralding each one with the corresponding Ricercare. The outcome is strikingly fresh and original, with a wealth of courageously personal diminutions and embellishments that derive from Valli�s deep knowledge of the Italian baroque repertoire. Bach was fascinated by composers such as Frescobaldi, Albinoni and Vivaldi, and it certainly makes good sense to perform his Suites in the Italian style!